I have found it very difficult to source German naval models for my Operation Sealion campaign. However, thanks to the book “Invasion of England 1940” by Peter Schenk, I have been able to look at a number of photographs and plans of the equipment designed by the German forces. 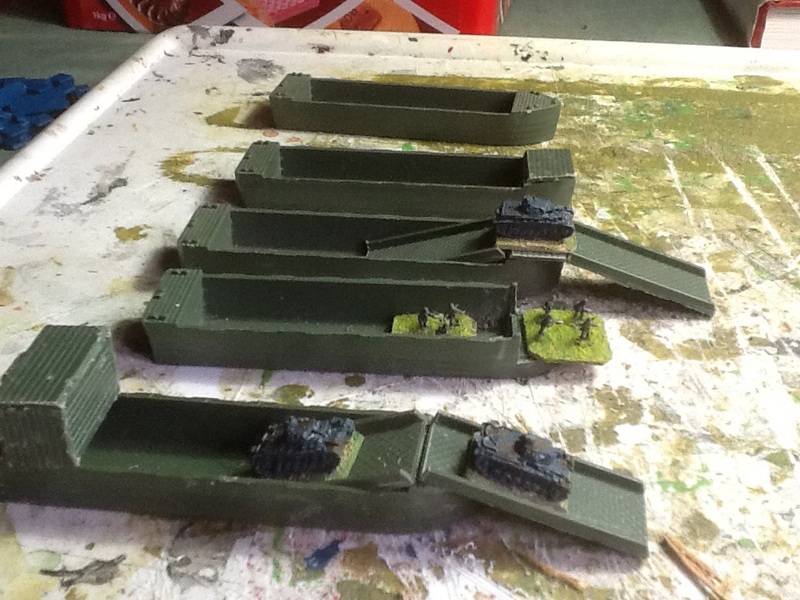 They are very basic conversions, using 4 pontoons and one ramp carved up. I hope that when painted they will give the correct impression.